Key crew members and key contacts are specified in the "Crew Call Times" section of the call sheet creator. 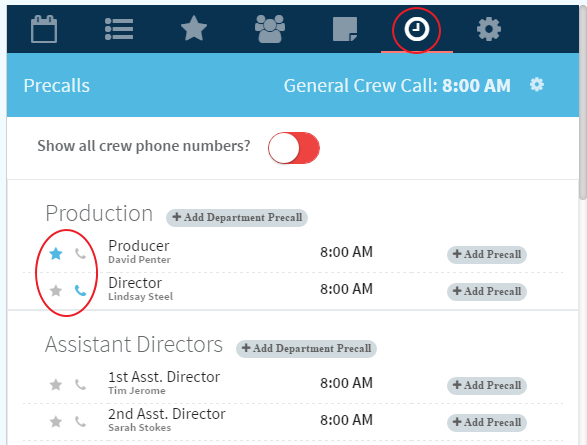 To make someone a key crew member select the star icon next to their name in the "Crew Call Times" section. 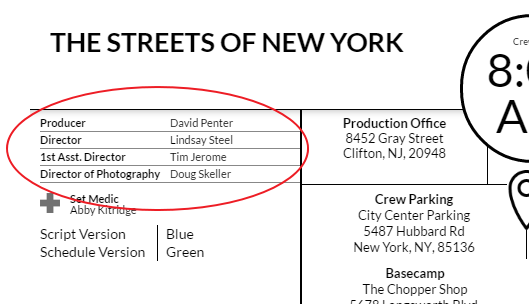 This will add them to the top left section on the front side of the call sheet (generally for directors, producers, and other leadership). To make someone a key contact select the phone icon next to their name. This will list them in the "Useful Contacts" section on the bottom right side on the back of the call sheet. NOTE: These selections will copy forward to future call sheets.